You pay only once. You reap the benefits forever. The course content is yours for as long as this program exists in your very own password-protected account! Your email address is your username, and be sure to choose a password you'll remember. Get ready for the journey of a lifetime! 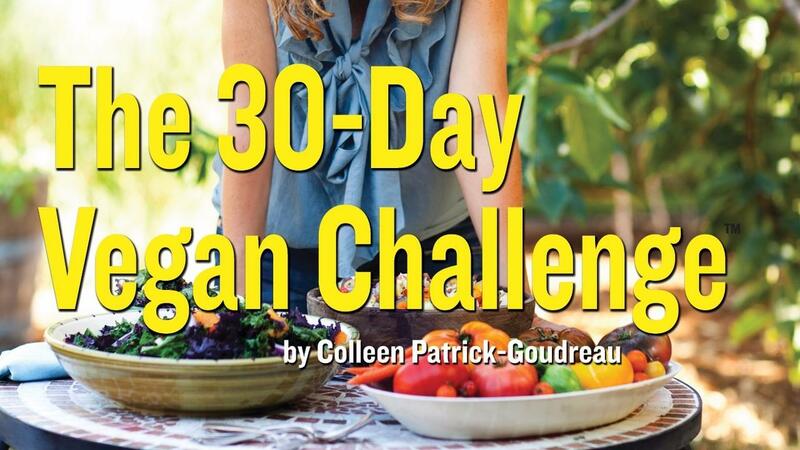 The 30-Day Vegan Challenge Online Course Only $39.99! The information in The 30-Day Vegan Challenge® online program (written, audio, and video) is true and complete to the best of our knowledge. The 30-Day Vegan Challenge® is intended only as an informative guide for those wishing to know more about veganism (living healthfully and compassionately). The material is provided for informational and educational purposes only and is not to be used for medical advice, diagnosis or treatment. In no way is this program intended to replace, countermand, or conflict with the advice given to you by your own physician or any medical practitioner.